Chart of the week: The price tag attached to data breaches A recent poll showed that of major US internet companies, Twitter is the least trusted when it comes to keeping data secure. Of course, no company has a fail-safe method of data protection and the consequences of a leak can be severe. As well as the negative effect on public image and reputation, the infographic below shows the average monetary cost of a data breach. 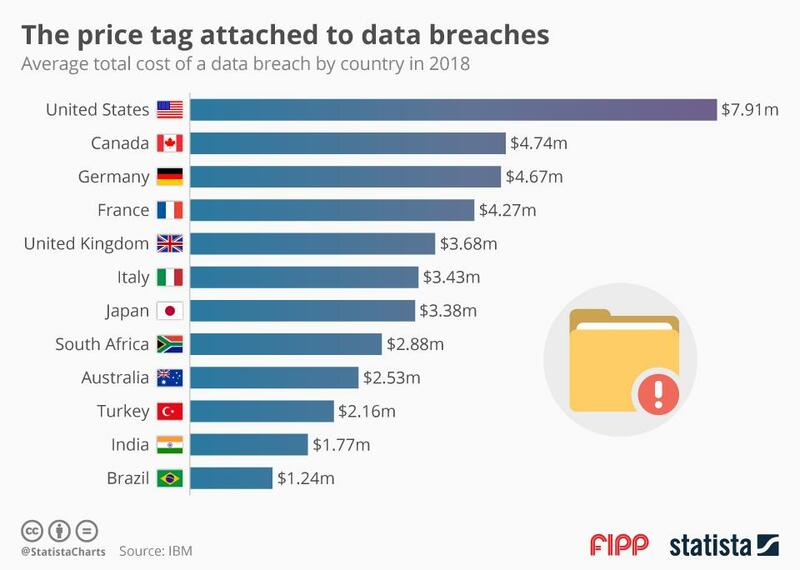 As reported by IBM Security and the Ponemon Institute, the costs are the highest in the US with the average incident coming with a price tag of US$7.91 million. Although one may assume that such leaks are always caused by criminal activity, 25 per cent of the cases examined were actually due to human error. Chart of the week: Why do consumers break up with brands? The customer is king and as such can be hard on any brand that doesn't fulfill his or her expectations to the fullest. 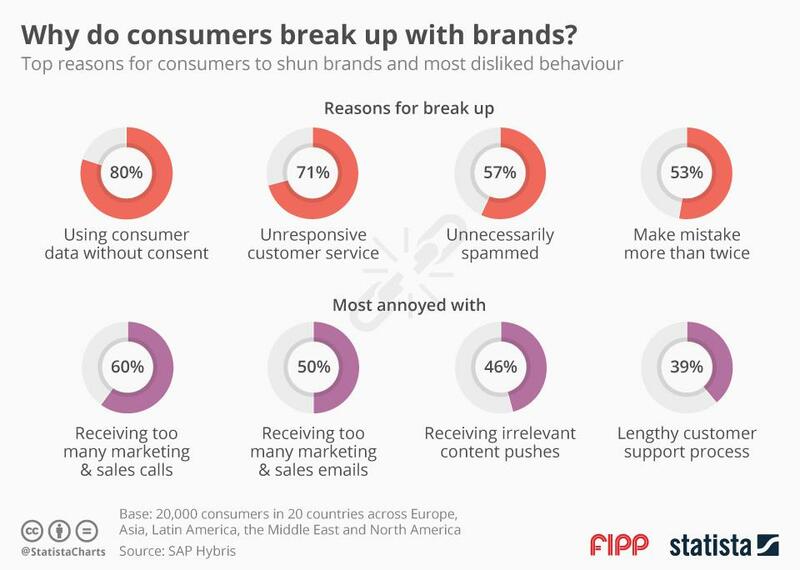 According to a new report by SAP Hybris (https://www.hybris.com/medias/sys_master/root/h5d/hca/8824150687774/consumer-insight-survey-global-17-EN.pdf), customers worldwide have several reasons to turn their backs on brands. The top no go for brands is using data consumers confided in them without their knowledge or permission. Eighty per cent of respondents worldwide said this was the number one reason to divorce. "Now that brands are able to collect data about consumers, how they use that data becomes critical," the report concludes. An unresponsive customer service is the second most acute reason customers terminate their relations with a brand (71 per cent). There is other brand behaviour that might not lead to consumers shunning the brand altogether, but which still is seen as annoying. The top two spots have to do with a marketing and sales overkill: 60 and 50 per cent of consumers respectively are either bothered by too many direct marketing calls or too frequent sales emails.